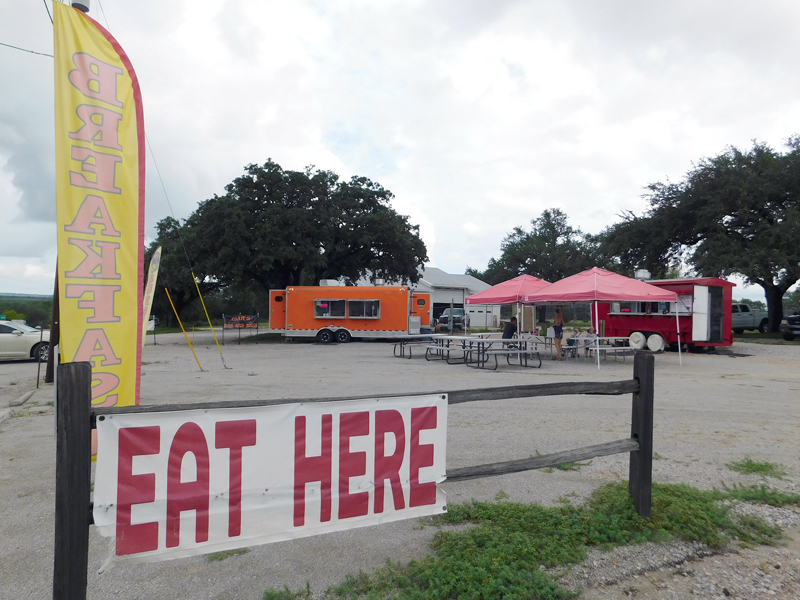 The Highland Lakes has become a food-truck grub hub, noshing in on the latest trend in food on the go. Here’s what you need to know before you go on a taste tour of these local hot spots. Very large menu includes offerings such as lamb gyro, catfish po’ boy, bacon and egg burger, Greek salad, beer-battered onion rings, jalapeño corn fritters, and funnel cake fries. The Silver Spartan has picnic tables on site for those who don’t want to grab and go. This culinary caravan includes a large, covered central dining area cooled by fans in the warmer months and warmed with heaters in the cooler months. Local Eats Craft Food at the HWY 281 Food Court. 11 a.m.-2 p.m. Tuesday-Friday as well as 6-8 p.m. Friday; closed Sunday and Monday. Serves craft burgers such as the Farm House with a fresh, fried-egg topper and the Texican topped with avocado, fresh pico, and melted queso. Also serves tacos, fries, and sweet treats such as Southern-fried donuts coated with honey and powdered sugar. Tacos El Mexicano #2 at the HWY 281 Food Court. When they’re open, they’re open: Days and times vary. Authentic Mexican food. Breakfast tacos served all day. Tacos, burritos, tortas, gorditas, quesadillas, shrimp cocktail, and menudo. 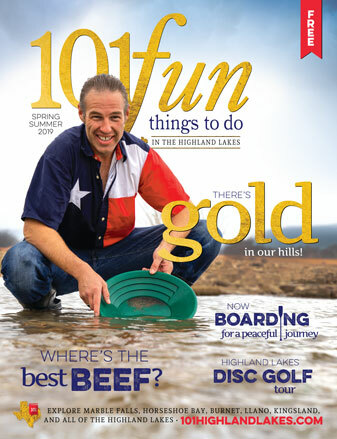 Two locations: Marble Falls and Cottonwood Shores. 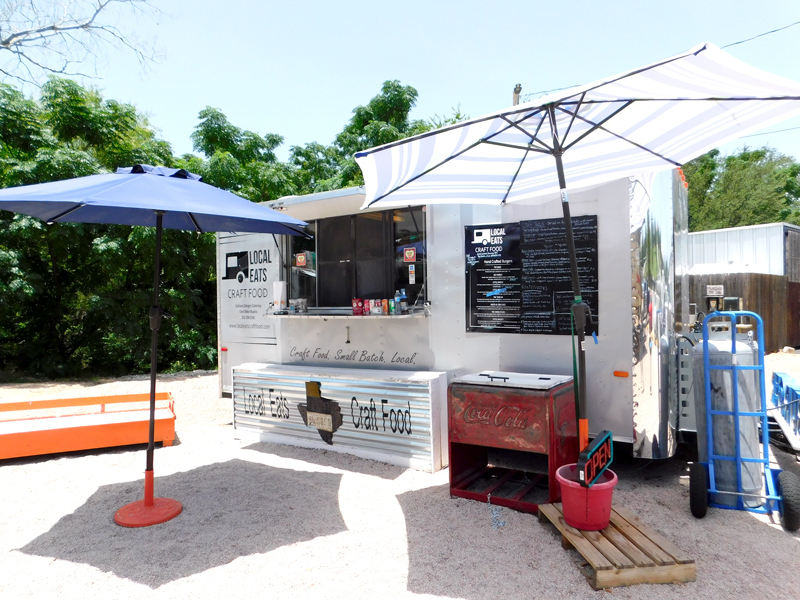 Break bread under the large, covered patio complete with picnic tables for customer comfort. 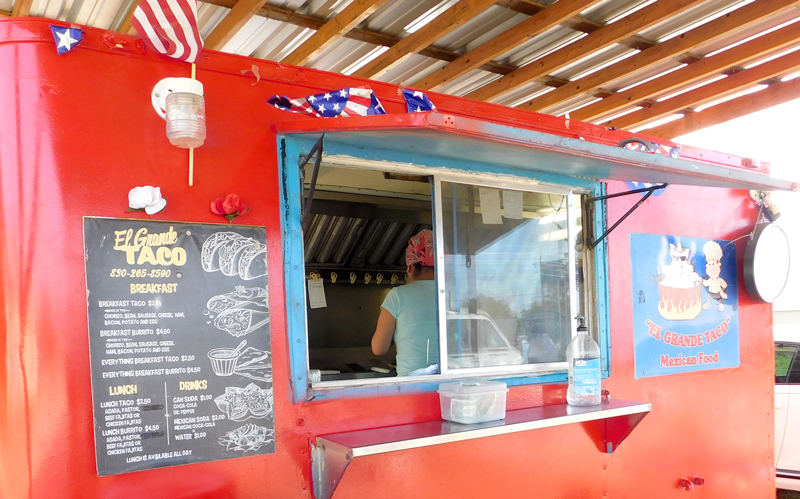 Tacos El Charro at the HWY 1431/Industrial Food Park. Authentic Mexican food with homemade tortillas. Tacos, gorditas, tortas, burritos, quesadillas, and breakfast tacos. Menudo served on Saturday and Sunday. 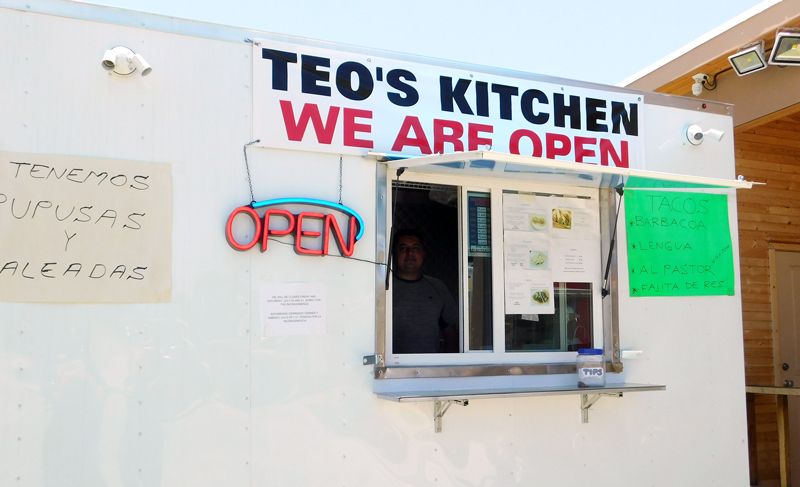 Teo's Kitchen at the HWY 1431/Industrial Food Park. Authentic Mexican food. Tacos (barbacoa, lengua, al pastor, fajita de res), pupusas, baleadas, and flautas. The Wild Chicken at the HWY 1431/Industrial Food Park. Mesquite-grilled cuisine. Chicken, beef, potatoes, burgers, and fries. Whole and half chickens. Desserts include churros, flan, and pie. 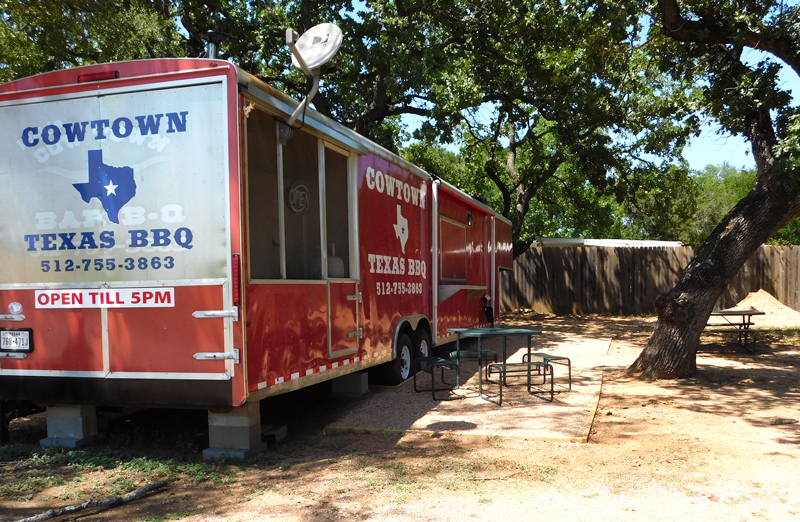 Cowtown Texas BBQ is located at 3803 RR 2147 West in Cottonwood Shores. They serve good ol’ Texas barbecue in just about any form or fashion: brisket, ribs, sliced, chopped, and sausage. On the lighter side, order a deli-style sliced turkey. Don’t leave without a big helping of Cowtown’s famous ranch potato salad. 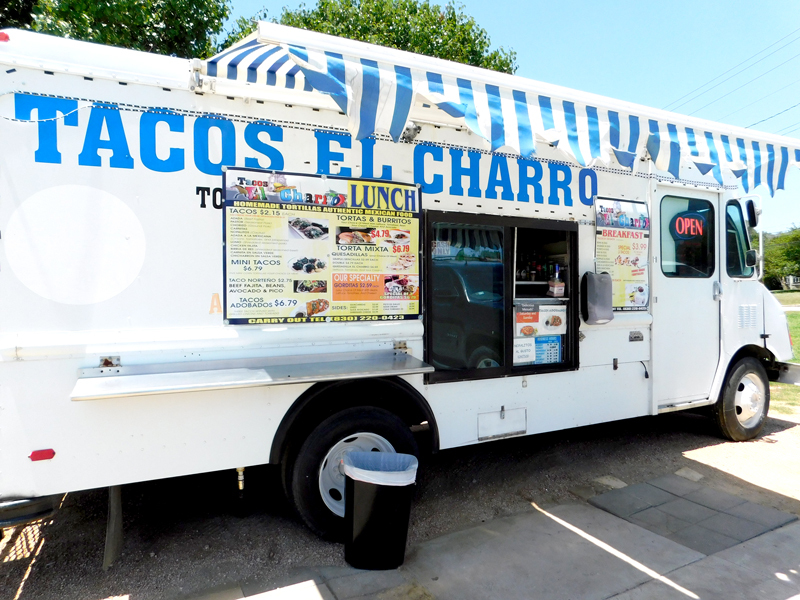 El Grande Taco is located at 2642 RR 1431 in Kingsland. Nine years in business serving breakfast and lunch. Authentic Mexican tacos and burritos. Covered seating area in front. 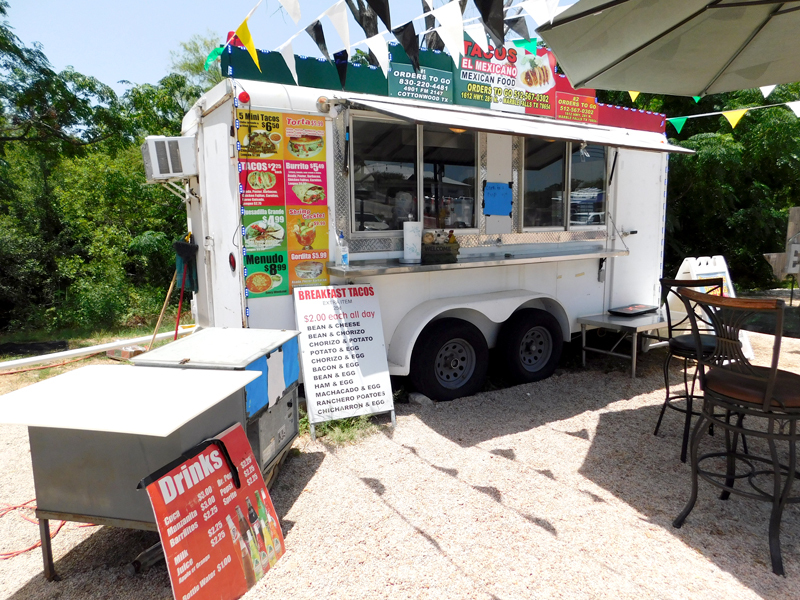 Spicewood Food Park is located at 9334 Texas 71 East and includes Beto's Tacos y Mas and Dian's. Visitors to this food park will find a canopied dining area where they can kick back and enjoy their grub. 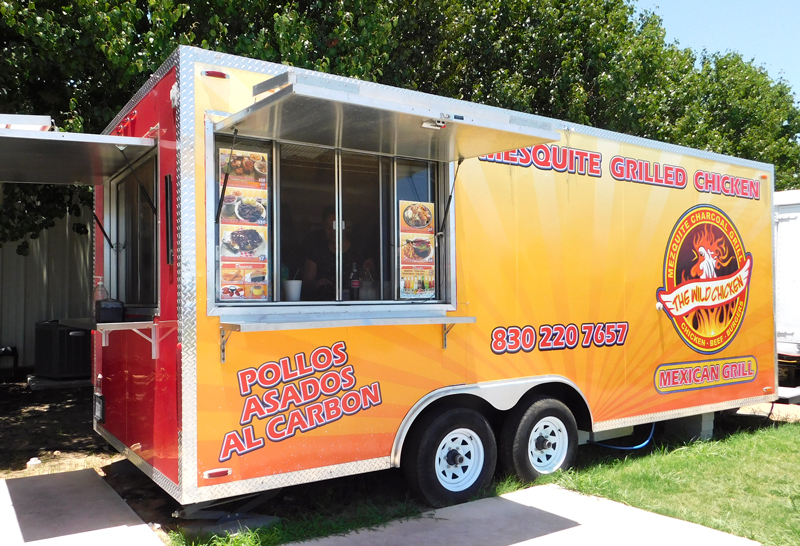 Serves Mexican fare with breakfast tacos and burritos and a variety of lunch tacos as well as burritos, and gorditas. Offers a large variety of breakfast and lunch plates. 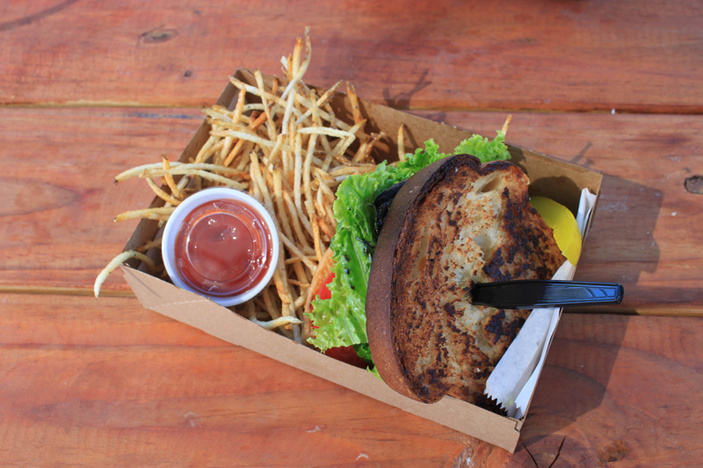 Chargrilled burgers and sandwiches complemented with fresh-cut french fries are what’s on the menu at Dian’s. Sandwiches include the likes of the Big Bird sandwich, a French dip, and, of course, a grilled cheese, to name a few. A kids’ menu is available. 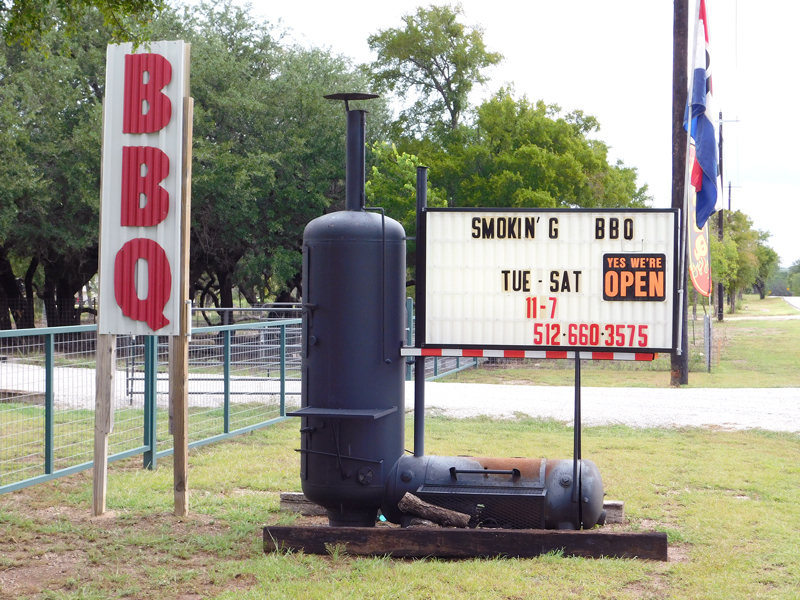 Smokin' G BBQ is located at 500 CR 413 in Spicewood. Don’t let the enclosed porch fool you: Smoking’ G BBQ is every bit a food trailer with one fantastic covered and enclosed dining area! Serves all things BBQ: chopped and sliced beef, pulled pork, ribs by the pound or plated, boudain, loaded baked potatoes, and a whole mess of sides like smoked mac and cheese, mini-corn on the cob, potato salad, and baked beans. Don’t miss the banana pudding.